We always want to start at a beginning, like Chapter One. What if there was no beginning to jump on? If life is like a great plane, a multidimensional universe of, well, material and spirit it neither begins nor ends. 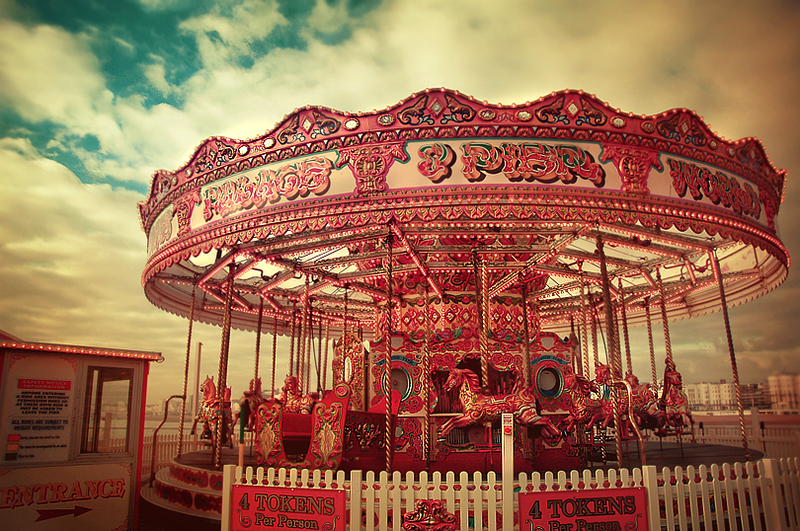 Most people have seen a merry-go-round. Perhaps you’ve ridden one. You heard the music and felt the wind on your face and the pull of centrifugal forces tugging at you. Well, no horse on that circle of lights and sound and feeling is the first. No one riding that wonderful machine sits at its beginning. How many of you have made New Year’s resolutions? Well, why did you wait for January 1 to commit to certain changes? The spiritual perspective of transforming decisions is that “now is the acceptable time, now is the day of salvation” (2 Corinthians 6:2). Jump in now. When something needs to be done, do it. If anything needs to be faced or reconciled, move. Don’t wait for an “auspicious moment”. Now, don’t distort this to insist on impulsive actions. Considering a good way, an appropriate context, gathering adequate resources (and the like) cannot be considered superfluous. The issue facing human beings demands living in motion. Avoidance, procrastination, paralyzing fear and feelings of failure before the fact keep life from actually unfolding with you in it. Inching (or as some say, “centimetering”) towards thriving takes us beyond present limits.